MAKATI CITY (22 August) – Last Wednesday (August 17) I had to fly to Davao City – not primarily to witness and join the week-long celebration of Kadayawan Festival – but to attend two events related to history as an academic field of discipline. Apart from the fact that this month is Buwan ng Wika (National Language Month) by virtue of Proclamation 1041 signed by Pres. Fidel Ramos in 1997, August is also celebrated as “History Month” by virtue of Proclamation 339 signed by Pres. Benigno S. Aquino III in 2012. In celebrating this month-long occasion, the Philippine Historical Association (PHA) held its 2016 National Conference with the theme “Philippine Governance: Historical Perspectives” at Ateneo de Davao University, Davao City, on August 18-20, 2016. In the “Bangsamoro Panel” of the said annual conference, I presented a paper on the growing influence of violent religious extremism in the Philippines and its impact upon intra-faith and interfaith dialogues. Immediately after answering questions regarding my paper presentation during the open forum, I left the conference hall and proceeded to the Waterfront Insular Hotel to attend the Mindanao-leg Series 1 (Topic: “Historical Method”) of 2016 Training Seminar Series (August 20-21, 2016) organized by the National Historical Commission of the Philippines (NHCP). Conducted by no less than the NHCP chair, Dr. Maria Serena I. Diokno, the two-day historical writing training covered a wide range of topics from “Meanings and Uses of History” to “Evaluating Sources in Historical Writing,” and it was interspersed with challenging written exercises too. 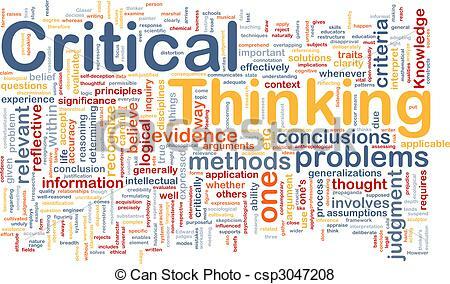 One of the recurring themes in both the conference and the training seminar is critical thinking – critical thinking in reading, writing and teaching history. It means to be circumspect and judicious before swallowing hook, line and sinker of everything we read, write and teach. It means that to rely on the perceived reliability of the source is not dependable; the merit or value of each datum must be assessed independently. In his celebrated Al-Muqaddimah, which is a comprehensive prolegomenon to a planned voluminous book on universal history, Ibn Khaldūn – the famous 14th century Muslim historian and historiographer – lamented some historians for being concerned only with the authenticity of the chain of transmitters (sanad), whereas one must focus instead on the authenticity of the text. As an example, Ibn Khaldun cited the supposed account that when the people of Prophet Moses crossed the sea while the legion of Pharaoh was pursuing them, they had two hundred fifty thousand soldiers. Accordingly, it must be reckoned that the Israelites were all descendants of Prophet Jacob, a single person, and it had been not more than five or six generations. Assuming that four centuries had passed, to say that they had two hundred fifty thousand soldiers necessitates claiming to the least that they had a population of one million in order to produce such a huge army. This is while Pharaoh had killed their male newborn babies. Given these male infanticides perpetrated against them, Ibn Khaldun would ask: is it rationally possible for them to have been such a number of Israelite men at that time? As mentioned in his Training and Education in Islam, Murtada Mutahhari – a prominent Muslim thinker of the past century – read in popular general history books that during the event of Harrah when Medina was ransacked and mass murder was committed [in 62 A.H. by 12,000 strong army under the command of Muslim ibn ‘Uqba], the perpetrators went inside the house of a poor resident of Medina, whose wife had just delivered a child and was still lying in bed while the child was in the cradle. A soldier allegedly entered the house with the intention of looting. No matter how much he roamed around the nooks and crannies of the house, he failed to find anything to loot. As he was empty-handed, he got furious and returned [in order to molest her]. The woman humbly pleaded, saying that she was the wife of so-and-so companion of the Prophet and that both of them pledged their allegiance to the Prophet in the Pledge of Ridwan (6 A.H.).